LPU abbreviated as Lovely Professional University is one of the top educational institute located in Jalandhar, Punjab catering education in various fields. The candidates seeking for LPU admissions will have to undergo the entrance test conducted by Lovely Professional University – LPU-NEST. LPU’s National Entrance and Scholarship Test (LPUNEST) is the entrance test conducted for various undergraduate, post graduate and doctoral courses offered by Lovely Professional University. The entrance examination is been conducted for courses like B.Tech, Design, Hotel Management, Applied Medical Science, MBA, Law and Agriculture. The entrance exam will routinely be held in the month of April every year and the application form for the exam will be issues from November. The application form will be available online/offline from the official website. Courses : B.TECH, MBA, DESIGN, LAW, HOTEL MANAGEMENT, AGRICULTURE and APPLIED MEDICAL SCIENCES? Note:The applicants, after Schedule I, who wants to improve the result may also appear for the second time in Schedule II. The application fee for such candidates will be Rs. 300. The better score will be considered for the final calculation of the cut-offs/ ranks. Aspirants can apply for admission at Lovely Professional University through LPUNEST 2019. The aspirants can fill up the Schedule-II application from for LPUNEST entrance examination online. 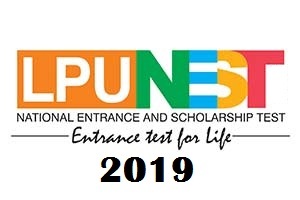 Registration: Aspirants, by filling the basis details like name, date of birth, email id and mobile numbers can register themselves for LPUNEST 2019 examination. Fee Payment: Once the aspirant is been registered, he/she can make the payment through online i.e., net banking/credit card/debit card or offline i.e., demand draft issued by any nationalized bank. Online Application form: After registration and fee payment candidates should fill up their personal and academic details. Submission of Application form: Candidates can submit the application form after uploading the scanned documents. Aspirants willing to seek admission at Lovely Professional University will have to register themselves for LPUNEST 2019. The candidates will be able to book their preferred examination slots once their register for examination. Slots can be booked on first come, first serve basis. LPUNEST 2019 application form is available only in online mode. A copy of application form will be mailed to the registered email id. The application form will be rejected in case of, failure of payment. The provided information should match the documents uploaded. Candidates can take out the print out of the application form for future reference. LPUNEST 2019 eligibility has to be fulfilled by the candidates to seek admission in Lovely Professional University. In case the aspirants fail to fulfill the eligibility criteria he/she will be disqualified from the admission process. Age: There is no particular age limit for appearing for LPU NEST. Nationality: It is mandatory the candidate appearing for LPUNEST has to be an Indian. Qualification: Aspirants should have completed their 10+2 or intermediate in 2019, aspirants appearing for 10+2 exam in 2019 can also apply for LPUNEST. Score: Aspirants should minimum attain 60% aggregate in 10+2 or equivalent with the following subjects: Physics, Mathematics and English. The candidates need to appear for Lovely Professional University’s National Entrance and Scholarship Test (LPUNEST) and JEE Mains, if the candidate has scored 90% or above in the qualifying examination. In such cases, the student will be exempted from giving entrance examination and may apply directly for admission. Aspirants can go through the below mentioned syllabus for preparation of LPUNEST 2019. The syllabus consist of 5 different subjects (Chemistry, Physics, Biology, Mathematics & English) covering the entire mandatory topic to crack the LPUNEST easily. Admit cards are the important documents to be carried to the examination center of LPUNEST 2019. The admit card will be available online and be downloaded by the aspirants. In case the candidate fails to carry admit card to the examination venue, the candidates will be disqualified. LPUNEST 2019’s admit card will be available from 1st of March 2019. E-admit card will be available for 48 hours on the LPU official website. In case of any errors mentioned on the LPUNEST admit card, the candidates should immediately report to Lovely Professional University. A copy of E-admit card will be mailed to the candidates email id. Candidates will have to visit LPUNEST 2019 official website. Candidates can login by entering User Id and Password. After login click on the link ‘Admit card Download’ and click submit. Admit card of LPUNEST 2019 will be displayed on screen. Candidates can download the admit card from the official site. Date and timings of the LPUNEST 2019. LPUNEST 2019 result will be released in the month of May 2019. The candidates can access the result online and know whether the seat is been allotted to seek admission in the institute. Candidates will have to visit the LPUNEST official website. Candidates can login using their User Id and Password to access their results. The official result will be displayed on screen, candidates can download their results. A copy of result will also be mailed to the candidate’s email-id. LPU NEST 2019 Score Card will be issued by the admission committee of Lovely Professional University. Candidates can access by logging in with the required credentials and download the score card. The selection of the candidates will be based on the score obtained by the candidates in the entrance examination. Post results, Lovely Professional University will conduct counseling process for admission through LPUNEST. The counseling for LPUNEST 2019 will commence in the month of May 2019 through online mode. Counseling will be of 3 rounds after the announcement of results. Counseling will commence soon after the LPUNEST 2019 results. LPUNEST 2019 counseling will be of 3 rounds. Seat allotment after the counseling will be done on the basis of the rank attained by the candidate. UM-DAE CBS, Mumbai and NISER, Bhubaneswar will jointly conduct 1st round of counseling. Shortlisted candidates can download the allotment letter and deposit INR 10000/- for admission. Popular reference books for the preparation of LPUNEST 2019 are NCERT Physics, NCERT Chemistry and NCERT Mathematics. National Council of Educational Research and Training has covered every topic required for cracking the LPUNEST entrance examination. NCERT books aims at providing the complete guideline for the students in every topics of all the subjects and makes the syllabus easy for the students. I.A. Maron and A.Das Gupta (Subjective). LPUNEST 2019 basically consist the syllabus of class 11th and 12th. Candidates can prepare and follow timetable so that, they get adequate time to study and revise for LPUNEST. Candidates can refer to the best study material available, which includes sample question papers. Solve all the available question papers which include previous year question papers. Do not forget to concentrate on each and every topic as all the topics are important. Take care of your health, stay calm and be positive.